The two top floors of SPIRE will be feature a range of amenities, including a SkyBar and a wraparound rooftop terrace. The 40-story condominium tower is set to open in 2020 near Seattle Center and within walking distance of South Lake Union. 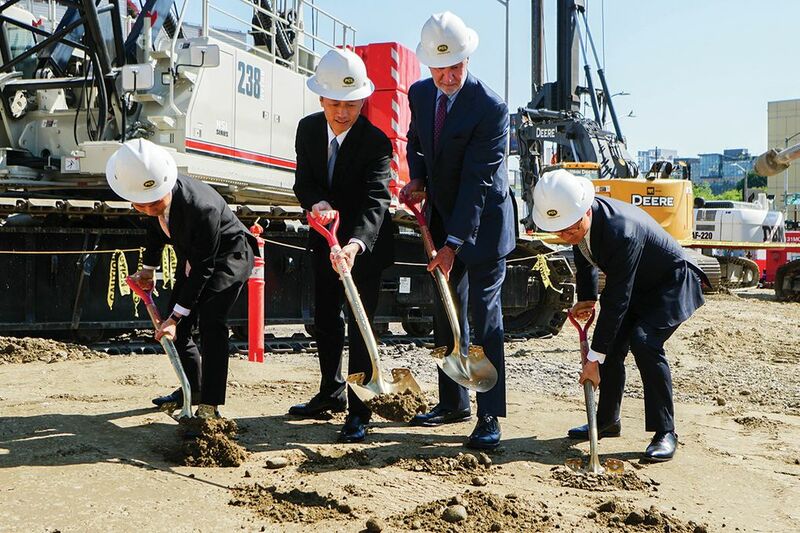 SEATTLE — A groundbreaking event took place this week for SPIRE, a 40-story condominium high-rise set to open in 2020 near the Space Needle. Sited on a unique, triangular site at 600 Wall St., SPIRE will be within walking distance of the burgeoning South Lake Union neighborhood and Amazon campus. He says presales will begin this fall. SPIRE will offer more than 350 studio, one-, two- and three-bedroom homes during a time when there is a limited number of new-construction condominiums available in downtown Seattle, the fastest-growing large city in the U.S., according to new Census data. A joint report by economist Brian O’Connor of O’Connor Consulting Group and Realogics Sotheby’s International Realty (RSIR) projects that more than 27,000 housing units will be added in downtown Seattle during the current decade, yet 94 percent of them will have been for rent and not for sale. As a result, the median home prices of resale properties increased by 20 percent year-over-year, according to Northwest Multiple Listing Service data, further priming local renters to become owners. Presales for the 350 studio, one-, two- and three-bedroom homes will begin in the fall. 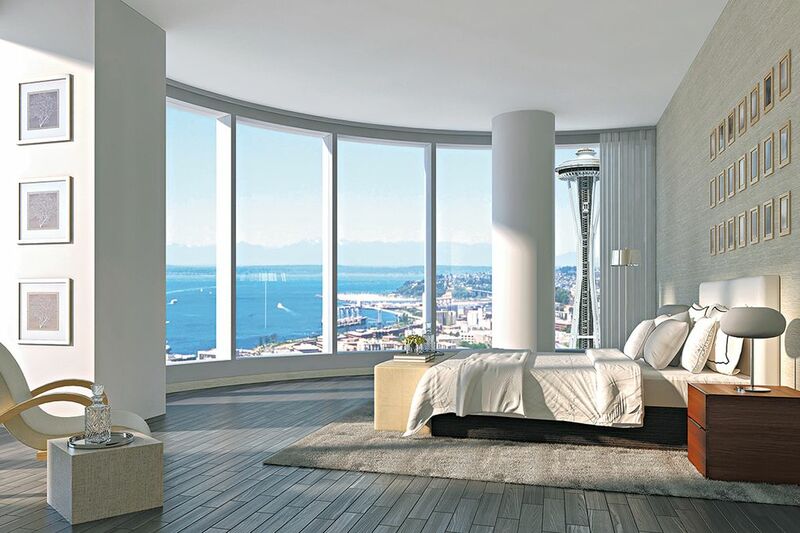 With its tall and slender architecture, SPIRE will occupy a full city block at the edge of the city’s high-rise zoning, granting panoramic vistas of downtown Seattle, South Lake Union, Elliott Bay and the Space Needle. Menzies says the neighborhood will benefit from billions of dollars in capital investments, much of that timed with occupancy of SPIRE. He points to the impending completion of the Highway 99 deep-bore tunnel that will soon reroute traffic below downtown Seattle and open up the waterfront, similar to San Francisco’s famed Embarcadero. Closer to home is Seattle Center, a 74-acre public gathering campus that was home to the 1962 World’s Fair. Work is wrapping up on the $100 million modernization of the Space Needle’s observation deck and the restaurant level, while Key Arena is undergoing its own $600 million renovation and may soon attract NHL and NBA franchises to Seattle. SPIRE homeowners will also have access to more than 16,000 square feet of interior and exterior common spaces, starting with a dramatic lobby with curated artwork and concierge services. Third-floor amenities include an expansive fitness center with stationary bikes and a yoga room. It will also provide a co-working space, a conference room, a gaming studio and a private theater. The two top floors will be devoted to a range of entertainment options, including an exhibition kitchen with private dining room, a SkyBar and a billiards lounge. A wraparound rooftop terrace will have multiple barbecues and firepits, landscaped seating areas and 360-degree views above the city. Robin Chell Design of Seattle is outfitting each home’s interior with hardwood floors, European cabinets, quartz countertops, Bosch or Miele appliances with gas cooking, solid-core 8-foot doors, and spa-like bathrooms with Kohler plumbing and a choice of three color schemes. 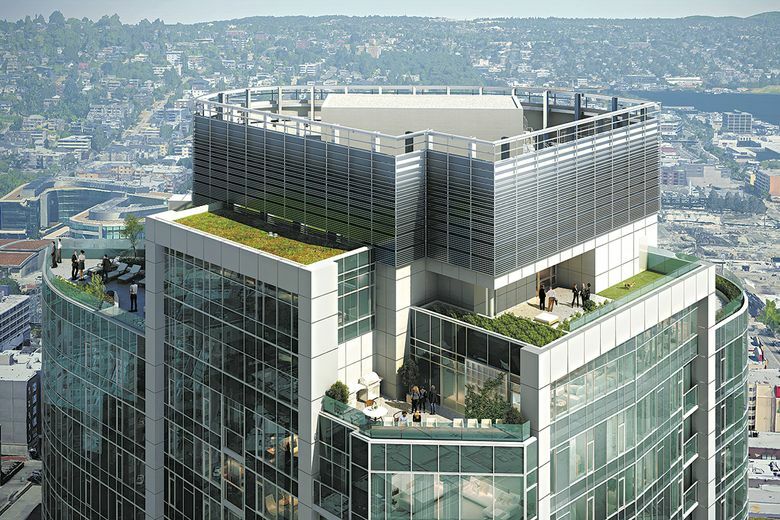 A groundbreaking event took place recently at the tower’s future location at 600 Wall St., Seattle. The homes will range in size from 517 to 2,800 square feet and will be offered at introductory pricing from less than $500,000 to more than $5 million.